[ This Cake design is for display the cake flavour. 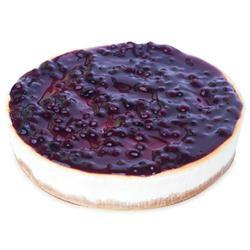 Experience a tangy twist in your cheese cake with a touch of blueberry.Treat you and your loved ones with half kg of blueberry cheese cake and celebrate their day in a special way. Colour design may vary from the graphical content. This product includes free Knife and Candles. 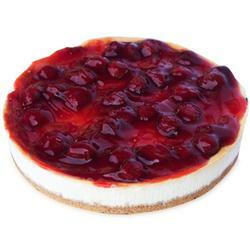 Cake may look slightly different as the image shown. 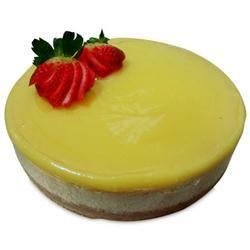 We Only Provide Eggless Cakes. "These are Special Cakes & will be Delivered after 24 hours." We make edible incredible ! !